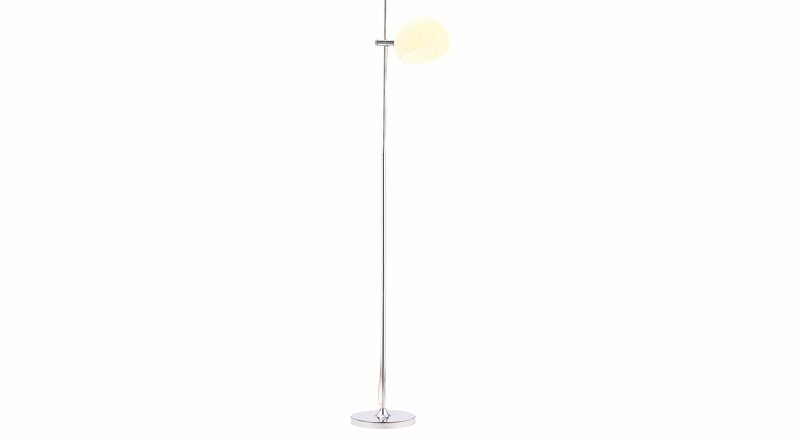 Unexpected design makes the Beacon Bright floor lamp striking. Its minimalist silhouette is sleek yet functional. Features a chrome base with a frosted glass shade.